On Dec. 1, World AIDS Day, University of Utah Health announced a powerful step forward in the state’s public health: Utah would soon be home to one of the nation’s only free HIV prevention clinics. 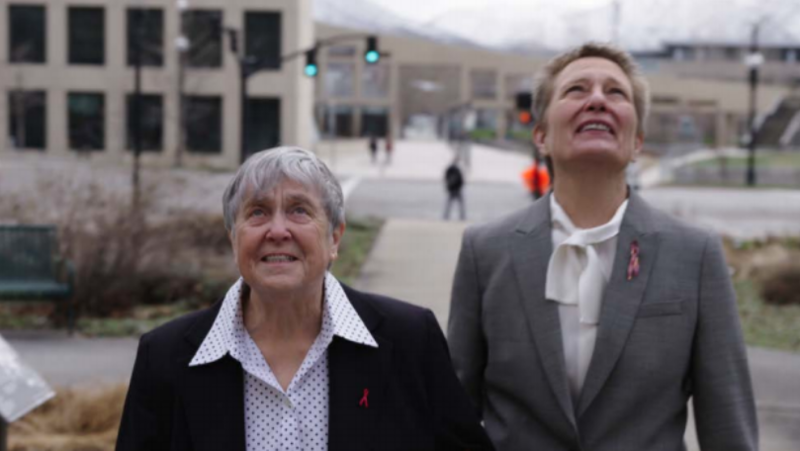 Yet, it was only a few decades ago that Utah faced the height of the HIV/AIDS crisis, when—confronted by exile, stigma and shame intensified by the dominant religious culture—patients in Utah could only find care with two medical professionals in the entire state: partners Dr. Kristen Ries and Maggie Snyder. It’s this legacy, this seemingly untold but recent past, that director Jenny Mackenzie and co-directors Jared Ruga and Amanda Stoddard evince in their historical documentary film, Quiet Heroes. Through home video, archival material and more, Quiet Heroes highlights Ries’ and Snyder’s exceptional work and compassion. Along the way, they tell the stories of the two women’s patients, framed by the historical and political contexts of the time. Quiet Heroes premieres this month at the 2018 Sundance Film Festival. SLUG: Jared, you found out about Kristen Ries and Maggie Snyder through a special collection at the University of Utah’s law library. Could you speak to the inception of Quiet Heroes, as a documentary film? Jared Ruga: I was a third-year graduate student at the University of Utah, and one of my law professors, Terry Kogan, apprised me of Kristen and Maggie’s story. I was hooked, so I hired Jenny to direct and co-produce the film with me. Amanda, whose work as a documentarian I trusted and admired, and I were working on a separate documentary project during my fourth year at the U. We eventually both ended up working in-house in Sentry Financial’s Media & Entertainment division, where we finished the film together. SLUG: What was your collaborative process like, as co-directors on this project? Ruga: Jenny shepherded the film through pre-production and principal photography, and Amanda and I guided it through post-production. During post, Amanda and I had many long days of sitting in the edit bay arguing about story, music, and visuals with the editor, Patrick Ryan Gass, but we usually came to a common agreement. What ended up on screen is a little bit of everyone. SLUG: What elements, footage and interviews do you incorporate in Quiet Heroes? Amanda Stoddard: In a historical documentary that’s not about a big event with lots of news and other cover footage, it’s hard to spice up the visual aesthetic. The ’80s is a bit of a black hole, given the internet wasn’t around and archives were slim. So we incorporated home video footage, photos and other archival material from the subjects of the film. Aside from Kristen and Maggie, we included stories of their patients (like Peter Christie and Kim Smith)—or the surviving family members of their patients (like Beverly Stoddard)—and politically active figures (like Ben Barr and Jim Dabakis). To add historical context and color, we also talked to historian/professor Beth Clement and psychiatrist Paula Gibbs. SLUG: What did each of you feel most impacted you in working with Ries and Snyder? What did you personally learn or take away from speaking with them? Ruga: What most struck me about Kristen and Maggie is how kind, unassuming, but quietly powerful they are. 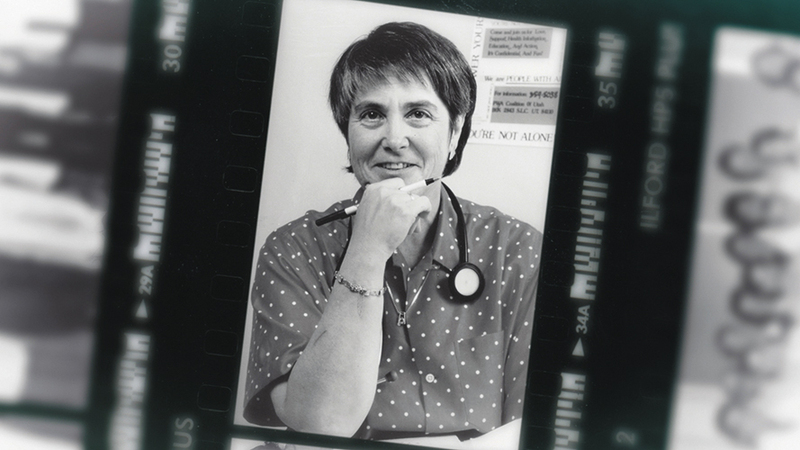 They’re two women who defied the odds to do what was right, often taking great personal risk in services of their patients. They worked tirelessly (often seven days a week) for decades, without the expectation of financial or social rewards, simply because they felt they had to. And they improved thousands of lives as a result. I’m inspired by their selflessness, their authenticity and their hearts of gold. Despite being heroes in our community, they always share credit with everyone they can. They never made it about themselves. SLUG: What unique challenges did you encounter in the making of this film? Stoddard: One of our biggest concerns was making a historical story relevant today, and where to shine the spotlight of the story. To resolve the first, we recognized that two women doing their jobs without fanfare, literally saving lives and mitigating suffering, was a timeless and inspiring story. And we kept the focus on that—on their work. Personal details just added depth to their character; it was a film as much about the time period and patients they served as it was about Kristen and Maggie. SLUG: What kinds of surprises, and triumphs, did you encounter in making this film? Stoddard: I didn’t know how much this story would resonate with so many people. I thought it was an important part of history that deserved to be memorialized, but I didn’t see it as rallying a groundswell of goodwill from the LGBTQ community here locally. I’m proud to have been a part of it, but we were just the conduits for their story. We just tried to stay as truthful and accurate as possible. Ruga: About three-quarters of the way through post, I was sick of this film. I’d been working on it for over two years and it still wasn’t done, and I was frustrated that we couldn’t get it out into the world yet. With the LGBTQ community well aware this film was in production, I was tired of telling everyone they’d have to continue to wait to see it. When we heard the news that we’d been accepted to Sundance, it made all of those long, cold, dark nights worth it. I’m excited to be able to share it with the world now (and tell everyone who asks where they can see it). SLUG: How does the film challenge “the socially conservative religious monoculture” in Utah as it pervades past and present? Stoddard: We did everything we could to treat the LDS Church fairly. In documentary film, you show people for who they are. The Church knows what it did and didn’t do to support the LGBTQ community, and we portrayed it as such. Ruga: The LDS Church continues today to antagonize the LGBTQ community through both its official policies and informal culture, but I hope it sees that it’s on the wrong side of history. I will say, however, that I’ve had some LDS family and friends reach out to me and affirm their support of me personally. I think there are plenty of good-hearted Mormon Church members out there who do love the LGBTQ community, but the official position of the Church is still homophobic, even in 2017. SLUG: Amanda, could you speak to the editing and writing behind Quiet Heroes? What aspects of Ries and Snyder’s mission and story, if any, did you find more challenging to frame or form into the narrative arc? What aspects, such as interviews or interviewees, were particularly hard to cut? Stoddard: When I came on to this film, we had a hard time settling on the key angle to build the story around, so I went back to what I know: focus on the accomplishments and milestones in the core subjects’ careers. Then sprinkle in the political issues and personal stories to illuminate the human side. 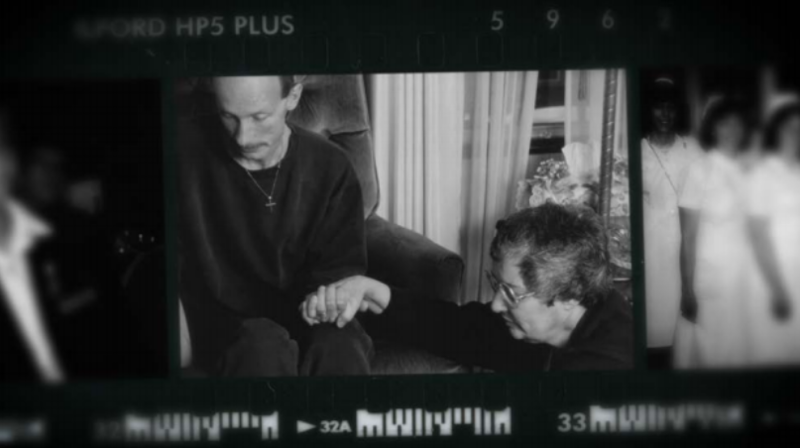 In addition to highlighting Kristen, Maggie and the Sisters of the Holy Cross, we focused on a gay man who survived, … [a] woman who caught the virus from her husband, and a heterosexual woman who left her family behind when she [contracted] AIDS. SLUG: Very recently, University of Utah Health announced that they would provide free PrEP. For many, it was an emotional and encouraging announcement, yet the AIDS epidemic is a part of the very recent past. I’d love to hear your thoughts on why it’s important to evince these stories of the past to make present-day progress possible. Ruga: One of the things we cut from the film was linking it to HIV in 2017; we stayed with Kristen and Maggie’s practice for the whole film. But in one interview that didn’t make it into the film, Kristen talked about “AIDS fatigue.” People are tired of hearing about it. Progress toward a cure or vaccine is slow. Transmission rates are flat or rising among certain demographics. And while PrEP is an amazing advancement in prevention, it still requires a huge swath of at-risk populations to use it correctly and regularly. What concerns me is a false sense of security about what modern medicine can do. The HIV virus is still evolving, so there’s no panacea for putting a halt to it, except maybe education and great public policy. However, I don’t want this sense of caution to take away from what the U did in offering free PrEP; it’s a massive step forward, and should serve as a model for the rest of the country. We should be—and I am—proud of their decision. SLUG: There’s so much power in honoring quiet heroes like Ries and Snyder, and in knowing our history. Art is a powerful way to share these narratives. Given your work toward highlighting and catalyzing social change, could you speak to the power and role of documentary film in that effort? Ruga: I love the adage “sunlight is the best disinfectant.” Corruption, ignorance and fear cannot withstand the bright light of the truth for very long. Art is important because it affords us the opportunity to ignite change. Because humans make decisions—even the “rational” decisions—emotionally, the way to push social progress forward is appealing to people’s empathy for others. Film, as an audiovisual medium, is the most powerful tool we have today for advancing our collective mass empathy. SLUG: In addition to Sundance 2018, what is next for each of you and for Quiet Heroes? Ruga: We’re so happy and excited to be included in the Festival, so we’re looking forward to running on adrenaline for 10 days in January. As for Quiet Heroes, my goal is to get it out to as many audiences as possible. It’s a microcosmic story about the clash between urban and rural, religion and reason, fear and love. Even though it harkens back to life 20 and 30 years ago, it’s still relevant today. It still serves as a template for taking personal risk in the service of others while facing extreme adversity. We could all use more of that. Stoddard: We have several narrative projects we’re working on at Vavani, so I’ll be focusing a lot of energy on those in 2018. I also would like to wrap up distribution for another doc project we completed this year. And I’ll be directing my first feature next year as well. We’re excited to bring more stories to the world that align with our ethos: those that are timely, compelling, authentic and socially conscious, told from underrepresented perspectives. The 2018 Sundance Film Festival runs Jan. 18–28. There will be three public screenings, with Q&As following, of Quiet Heroes, on Jan. 21 at 6:30 p.m. at the Rose Wagner Performing Arts Center; Jan. 23 at 12 p.m. at the Egyptian Theatre; and Jan. 26 at 7 p.m. at Holiday Village Cinema 4. For more information about the film and the festival, visit quietheroes.net and sundance.org. Read more of SLUG’s film coverage of the 2018 Damn These Heels Film Festival. Editor’s Note: The original version of this article incorrectly listed Jenny Mackenzie as co-director, rather than director. The correction has been made.